The widespread use of mobile devices by youths may be depriving youths of opportunities to “offload” their problems in face-to-face communication, making them more vulnerable to suicide, Deputy Chief Medical Officer, Dr Karen Boyle said Friday. 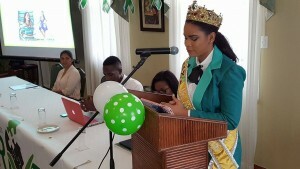 “The connecting, the communication- I think we are losing that skill and that is what keeps us alive, that’s what keeps us connected and I think we should really make an effort to look people in the eyes,” she said at the Miss World Guyana’s launch of the One Act Foundation’s “THRIVE” Mental Health Awareness campaign. Labelling the prevalent use of smart phones and other devices for checking email, social media and texting as “pseudo connections,” Boyle argued that they are seriously impacting on “human contact.” “It is not strange sometimes to be in a room with people and everyone’s head is bowed in a phone,” she said. She said persons successfully commit suicide when they feel disconnected and depressed, feel no strong social ties and inadequate social support to face another day and have hope. Boyle appealed to the public to give a listening ear to those depressed with the assurance that the information revealed would not be the subject of gossip. “Just allowing that person to offload, you would be performing a huge service. Sometimes that’s all it takes for someone to be able to connect, for someone to be able to reach out and know that someone is there for them,” said Boyle. She observed that more men commit suicide because it is believed that they have less social support compared to women. 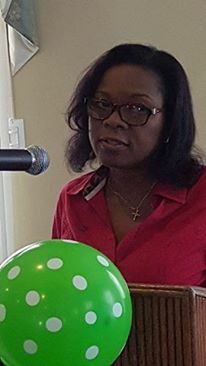 The Deputy Chief Medical Officer welcomed the idea of idea o f having a champion for Guyana’s mental health and mental health response. That champion is Founder of One Act Foundation and Miss World Guyana 2016, Nuriyyih Gerrard who sobbed as she recalled that she had been severely affected as a child by the break-up of their parents. “There were so many years, approximately 18, that I had suffered in silence, stemming from parents’ separation when I was about seven years old,” she said, adding that she had cried herself to sleep on the mornings when she did not want to attend school. “I just wanted to be the family that I saw on television. I wanted to exist in a home where there was a mother, a father, a brother and sister…When parents separated I felt that there was like a paradigm shift in my life and it was difficult for me at seven to adjust to moving from my father’s middle class home to a dilapidated house on the East Coast,” she said. Further relating her period of situational depression, she said it was difficult being unable to afford to go to lessons and struggling from class to class to gain as many grades to pass on to the next level always feeling that her life would be an abysmal failure because of her socio-economic conditions. Gerrard pledged that long after the Miss World pageant would have come and gone, she would continue to address mental health issues mainly among youths. “Our young people continue to suffer in silence and it is absolutely important for us to amplify the voices and actions of those who commit to speak and to take action,” she said. One Act Foundation is a non-profit organization aimed at promoting mental health through theatrical productions, community outreaches and youth club meetings. The campaign forms part Gerrard’s Beauty with a Purpose project for the Miss World 2016 competition. The “THRIVE” campaign specifically aims to influence the lives of youth and adolescents in a positive way. The objective of the campaign is to alleviate the stigma surrounding mental health with a focus on a thriving environment for all and will contribute significantly to the work already being done throughout Guyana. The THRIVE campaign promotes the importance of good mental health which is crucial to the well-being, professional development, and successful outcomes of youths.